My name is Kerry Kardell and I am “The Fishman”. My love for aquariums and their inhabitants started over three decades ago when my father purchased for me my first aquarium from my local fish store. I was hooked “pardon the pun” and from then on no weekend was complete until we had made a trip to the local aquarium store to check things out. As a matter of fact, I frequented it so much that in 1982 they gave me a job. Now being that I was very young, my day consisted mostly of learning about everything, but my interest was mostly in keeping saltwater systems, “which at the time were still pretty archaic, with regular use of undergravel and external hanging systems”. The rest of my day was spent doing grunt work, like bagging natural gravel in five and ten pound bags, and cleaning feeder flats and corner filters, “30 to be exact,” on a daily basis. But for me, as a young man, working in that environment was essential in setting the ground work for a life long career. 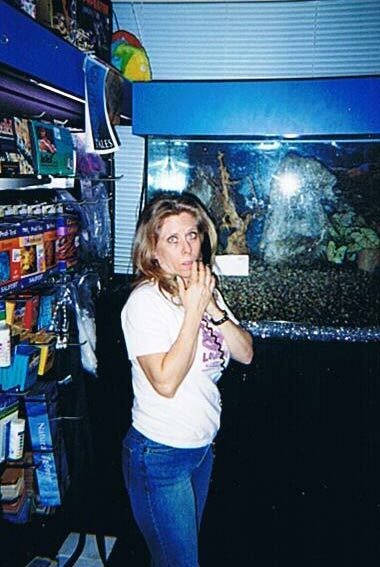 It was in 1986 when a customer first approached me about coming to their home and cleaning their aquarium, since they saw what a good job I did in the store. So with a drivers license in my pocket and a bucket in my hand “The Fishman” was born! 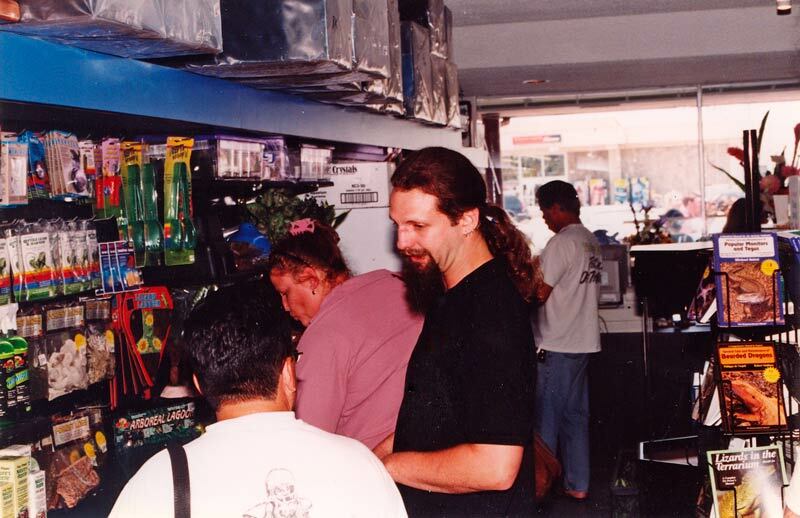 The shop I worked at back then didn’t do service, so when people asked about it the owner referred them to us, as long as we did a good job and he didn’t get any angry phone calls everyone was happy. This went on for about six more years, of working in the store and doing service on my time off. In 1992 I left my local store because I felt I couldn’t learn anymore. I had become “top dog” and had held that spot for quite a few years before making that decision. When I left I went solo for a year or so, just doing maintenance and taking it easy. 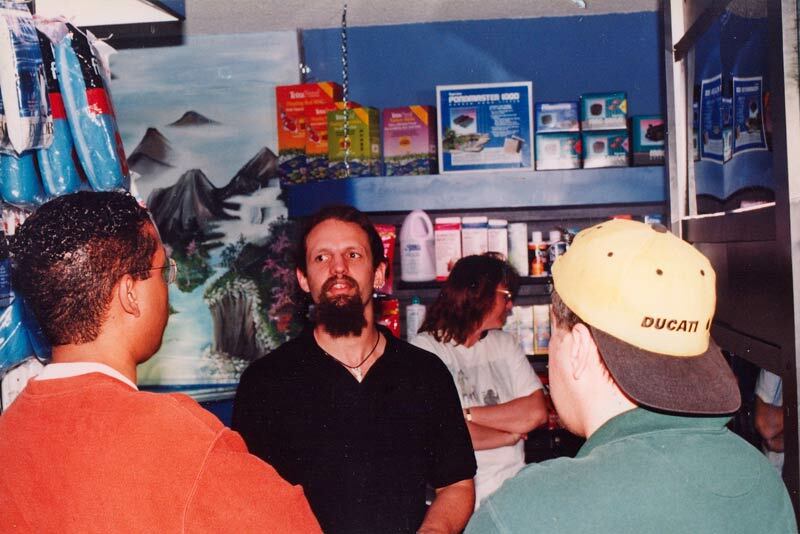 In 1993 I decided to start looking for a new store to work at, one that I thought that I could learn more from. Well, after looking around I found a store in Sherman Oaks that fit the bill. So I asked for an application and turned it in. Well, before exiting the store the manager stopped me and asked me when I could start, “being very impressed by my ten year tenure at another top store on the other side of the valley”. “Right away,” I replied, having about 25 regular service accounts under my belt, and a lot of free time on my hands. So for the next five years I learned as much as I could about … lighting, filtration, bio systems, eco systems, turf scrubbing, skimming and general reef keeping, as in my book this was the place to learn it, all the while keeping my own maintenance company on the side, with a steadily growing list of clientele. In 1998 the time had come to take all the things I had learned over the past years and open my own store, calling in all the favors from all the people I had met over the years, it was finally time to make my vision come true. 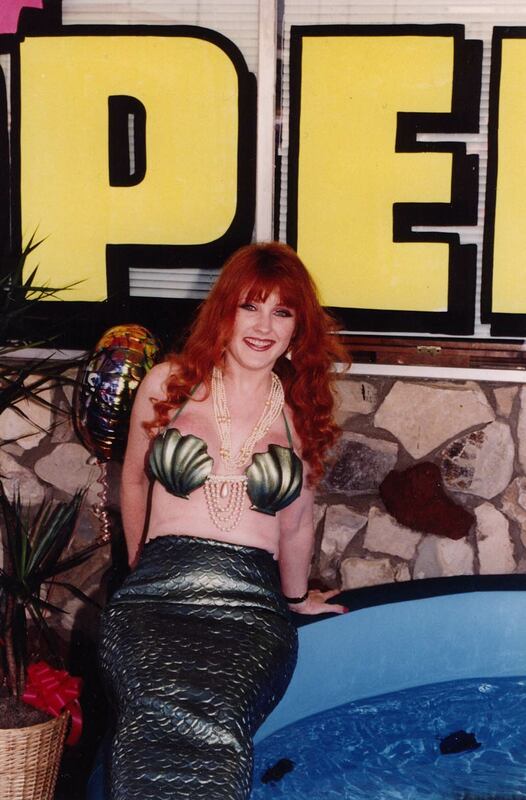 So, on Saturday, June 5, 1999, with mermaids in a Jacuzzi, greeting people as the entered, my vision was open in Burbank for everyone to see. Now, with the added responsibility of the store, I incorporated my service clients into the store’s service department. I spent most of my time maintaining the store’s systems, and training both in store and outside service people. 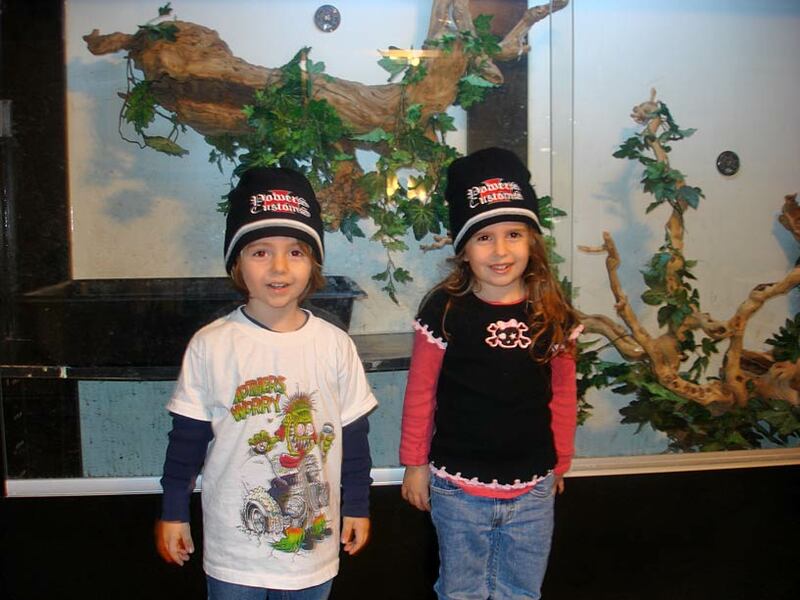 Over the next eight years my vision grew into one of the top five stores in the San Fernando Valley, doing custom installations and on sight maintenance for countless businesses, private homes, TV shows and feature films, including custom enclosures for some very lucky reptiles at the LA Zoo. Also, in this time period, the good lord up above and my wife here on Earth, blessed me with two beautiful children, my daughter Alchemy Lynn Kardell, in August of 2003 and my son Mako Elijah Kardell, in September of 2004. So, now with my two little fishes thrown into the mix, and oh, yeah, my wife also being my business partner, although being a very successful business, the seven day a week, 15 hour a day grind, was wearing thin on my whole family. So In June of 2006, I decided to sell the shop and rededicate myself to private service, custom design and the sharing of my decades of knowledge in this every changing and wonderful world of aquariums and ponds, to anyone and everyone who makes the decision to call “The Fishman” for your custom maintenance or expert consultation. Go on. 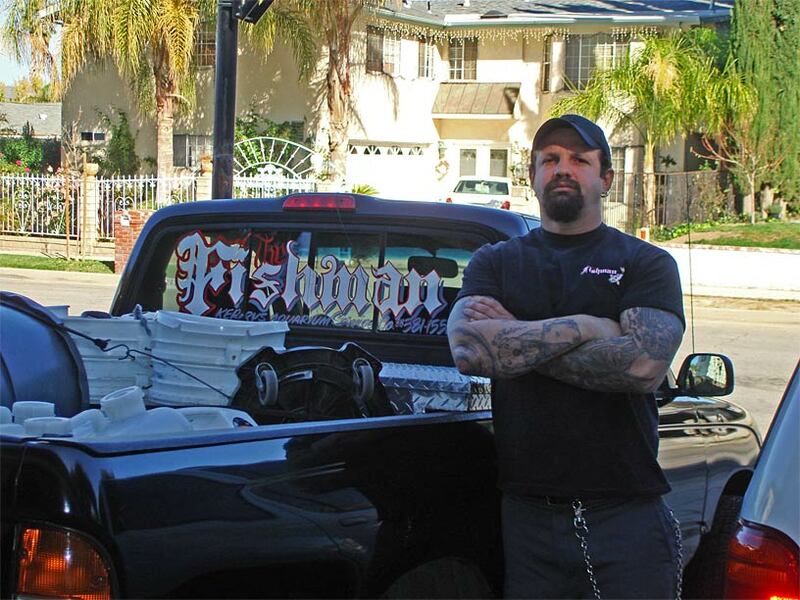 Pick up the phone or send me an e-mail and lets get your system working to its potential, like countless other happy clients of “The Fishman/Kerry’s Aquarium Service Co.